Last year, I began pursuing my long-standing love of butterflies, camera in hand, at our local Sandhouse Lane Nature Reserve. However, I soon became distracted by Sandhouse Lane’s array of odonata (dragonflies and damselflies) which provided a fresh photographic interest. I had little idea what species I was photographing half the time but I was hooked. I possessed only a rudimentary field guide to “Insects of Britain and Western Europe” showing some odonata but, distressingly, I had some pictures that I was uncertain about. Looking for more experienced help, I discovered the British Dragonfly Society and emailed a picture (right) to someone. I waited … and waited … and waited. I’m still waiting. No response. Unimpressed! A few weeks ago my friend and fellow wildlife enthusiast, Rosemary, sent me a link to a Web site called iSpot ( “your place to share nature” ). Initially, I had a quick look but did little more than sign up for an account (it’s free). iSpot seems to be associated with the Open University and is part of some initiative called the OPAL Partnership which apparently attempts to promote nature study. Sounds good. During our September trip to France last year, whilst in France camping at our favourite dairy sheep farm at Fanjeaux, I happily snapped away at a whole bunch of odonata that were new to me. Let’s face it, being a complete beginner most of them are new to me. At the time I managed to identify most of them with my old rudimentary field guide. 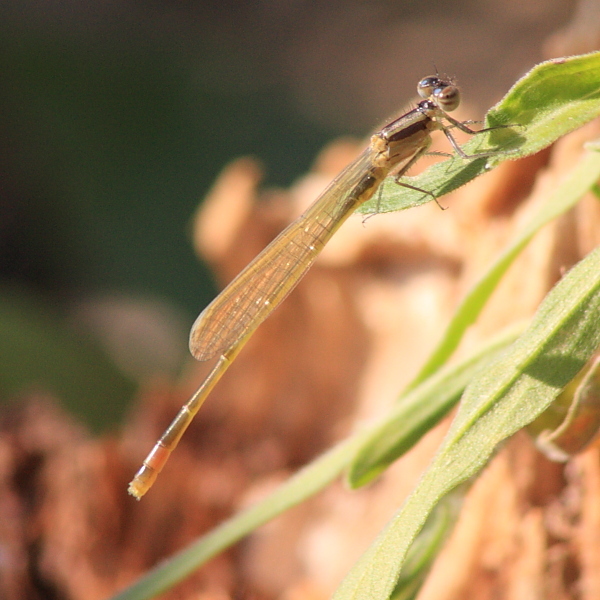 In my collection, however, I had snagged a couple of pictures of one small and very pale damselfly. I harboured suspicions that it might be an immature insect with its colouration not yet formed but was essentially completely floored. Fast forward to now and … enter iSpot! Users of iSpot submit field observations of nature, usually accompanied by photographs. 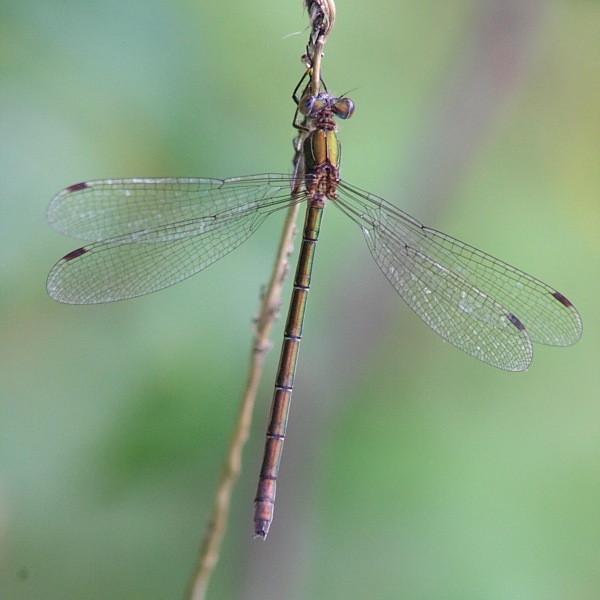 I was sorting through my odonata pictures and remembered my unidentified pale damselfly. I figured I had nothing to lose and I’d already got my id so I entered my unknown damselfly into iSpot as an observation asking for help with identification. I also entered a very large unknown-to-me moth from the same location in France. On both occasions, within 24 hours, I had helpful responses. This is, as you suspected, an immature damselfly which has not yet developed it’s full colours. 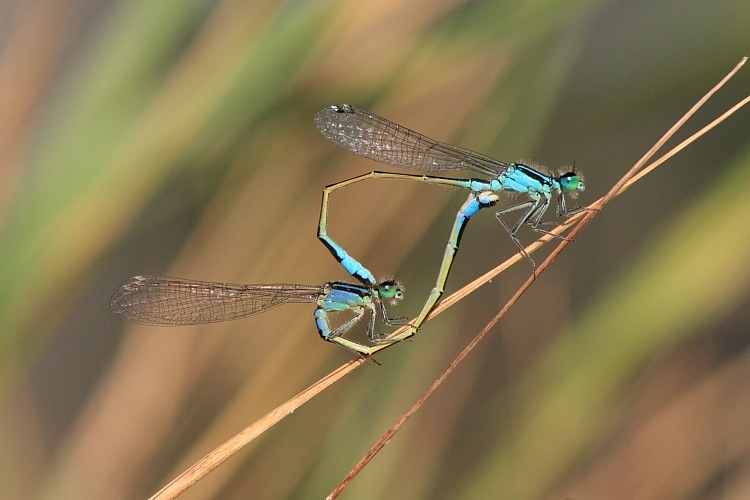 Recently emerged damselflies can be very tricky to identify, although they do usually show the pattern they have once mature (it’s just very faint and lacks the bright colours). It is usually best to try and identify whether you are looking at a male or female before you try to identify the species (yours is a male because there is a swelling under the second abdominal segment, counting back from the thorax – first segment is very short). 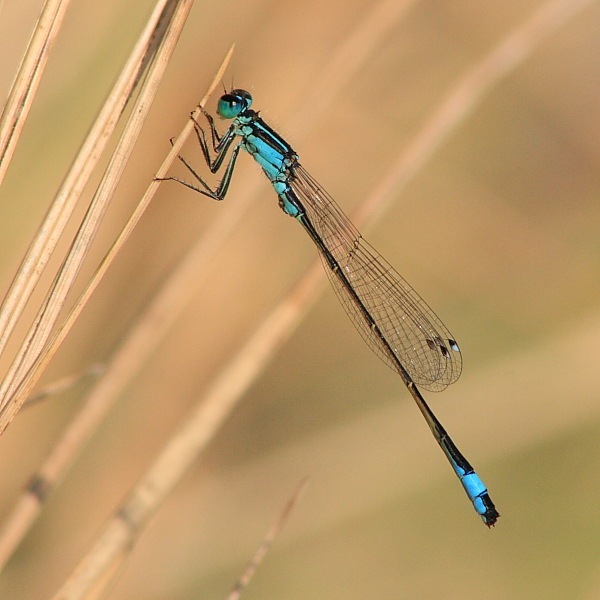 The main visible feature that identifies this one as to species is the pale dorsal surface to only the eighth abdomen segment (near the end) – this will become the blue ‘tail’ when it matures and contrast with the rest of the abdomen which becomes black on top. Compare the markings with an illustration, or photo, of a mature male and you will see that the patterns match even though the colours don’t. I am most certainly a big fan of iSpot so thanks to all there and to Rosemary, too. Now I’ll have to update both my lepidoptera and odonata Web albums with my new knowledge.